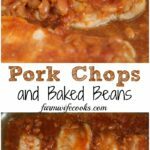 This Pork Chops and Baked Beans recipe is an easy, baked, boneless pork chop recipe that is perfect for busy nights. 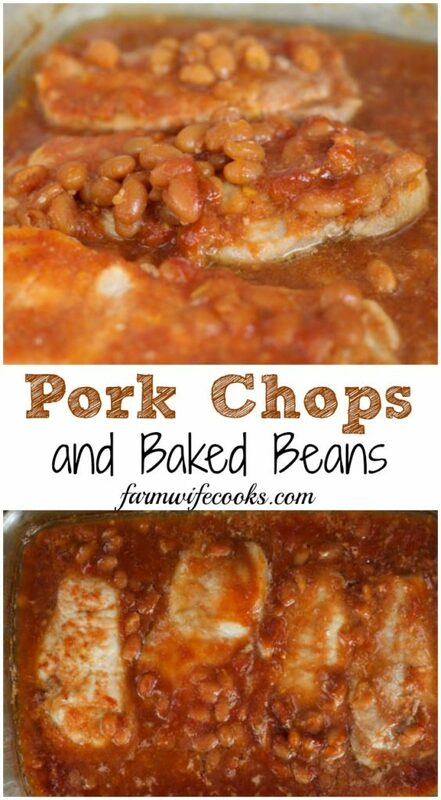 When I came across this recipe in one of my all time favorite cookbooks (a fundraiser cookbook put together by Indiana Dairy Farmers) I automatically thought of my brother, there was a time when he lived on pork and beans. 🙂 He would love this recipe and I am going to make sure he tries it! 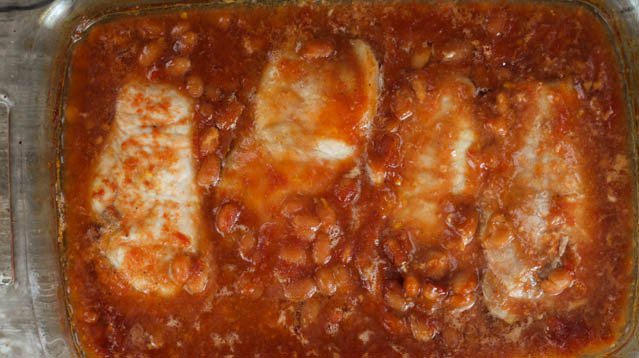 I love Baked Beans as a side and I love meals where the side and main can be made together. This recipe ends up kind of like a casserole. 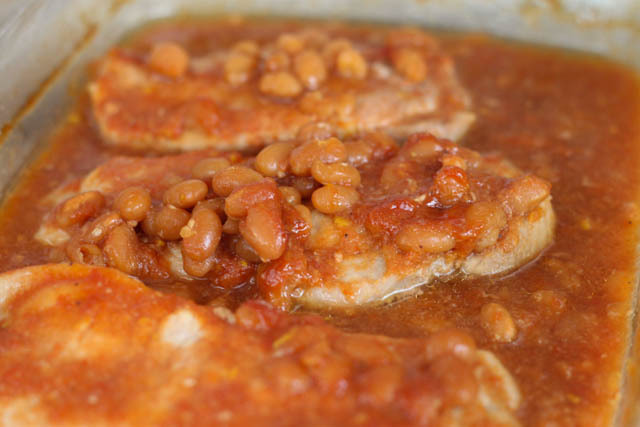 To make this recipe dump the pork and beans in the pan, you can remove some of the liquid if you want the end result to be a little thicker. Add the pork chops and remaining ingredients and cook until done, about an hour depending on how thick your pork chops are. Pork needs to be cooked to 145 degrees so be sure to use a meat thermometer. Pour the can of pork and beans into a 7x11 or 9x13 inch pan. Spread mustard evenly over chops. In a bowl mix together brown sugar and ketchup; pour over pork chops. Bake at 325 degrees for 45 mins to 1 hour or until pork chops reach an internal temperature of 145 degrees.